From France, this highly inventive quintet has already spent th ree years in collaboration before releasing their debut recording. Winning prizes since 2015 (as best emerging band, best band in some events, etc), the group is as slick and classy as top shelf diner jazz, but with plenty of bumps and grinds, bravery and brilliance, and a little bit of everything. This French progressive jazz rock outfit gives off flavors of Gentle Giant, Sloche, Bill Bruford’s Earthworks (if it had a female vocalist – maybe think Bruford’s first solo with Annette Peacock, however much more animated), funky club jazz, and breezy fusion not far from some of Flora Purim works. Most of all I am reminded of the French Canadian fusion band Aquarelle (featuring Anne-Marie Courtrmanche on vocals) with all its unusual slants. An introduction titled ‘Light of Incal’ (track 1) shows the proportions the band can serve right away. It is with ‘Cirkus – Part I’ (track 2) that the listener gets the many colors and dimensions these artists are inclined to. The lead singer Celia Forestier, fully showcased, takes each song to adventurous corners, with her vocal work alone. ‘Poppies Dream’ (track 3) is a treasure with a progressive onslaught deserving of claiming it worth the price of the CD all by itself. ‘Cirkus – II’ (track 4) rips another path with twists inclusive of energetic syncopation, Bill Frisell style guitar lines, hot fusion, and blends from behind the curtains. A supreme thing of beauty is when you cannot guess what comes next from one minute to the next, and Six-Ring Circus has this format down pat. ‘Sonate For Gent’ (track 6) even shows the group rocking out, approaching a metal fusion for a brief section. 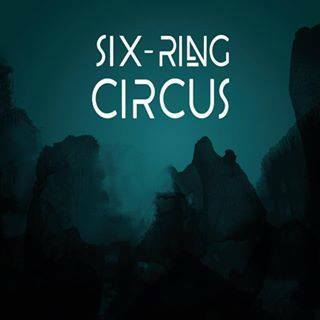 With this self titled release, Six-Ring Circus bring you mystery, adventure (and then some), thrills, reflection, astonishment, dreaming pause, and plenty of surprise. Most of all, the entire recording gives anyone with good taste and a lust for music that overflows with new combinations, a unbridled satisfaction. From track to track, the ideas and skill levels continue to evolve. 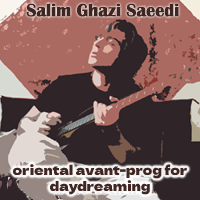 The members are Celia Forestier (vocals, FX), Baptiste Ferrandis (guitars, FX), Elie Dufour (keyboards), Alexandre Phalippon (bass), and Elvire Jouve (drums), with guests Thierry Beaucoup (saxophone : track 7) and Baiju Bhatt (violins : track 5). Every single one of these musicians are top notch, way great at their craft, and fantastic with execution. With the first listen, I took a deep breath, went ‘wow’ then smiled to myself. This is the kind of music I live for. I pray they make another CD. MOST HIGHLY RECOMMENDED.